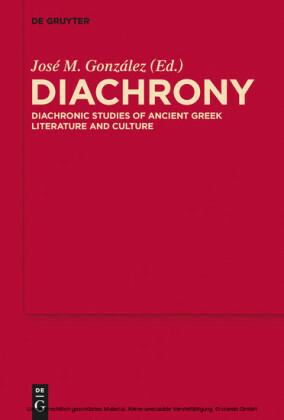 Diachrony showcases the importance of diachronic models for the interpretation of ancient Greek literature and culture. These models study the evolution of culture as a system. Contributors to this volume seek to be methodologically explicit as they build a variety of diachronic approaches to a wide range of subjects. The period covered stretches from Homer to Babrius and the topics range from ancient Greek agriculture to Athenian pederasty. José M. González , Andrew W. Mellon Assistant Professor of Classical Studies, Duke University, Durham, North Carolina, USA.